Five Days. 5. That’s all I have until my Oly Comp. I can’t believe it’s finally this close. I am incredibly nervous and get knots in my stomach just thinking about it. Two and a half months ago when I decided that I wanted to make this a goal, I had snatched an empty bar twice, had never jerked and was cleaning 80lbs. I know I have come a long way, but it’s hard to focus on that instead of how much further I have to go. I’m hoping this competition just sparks more of an interest and isn’t discouraging. I have to submit my starting and attempt weights by Wednesday evening. You get three chances at each lift and I’m still not 100% sure what I want to go for. I was talking to my Oly Lifting Coach today, trying to figure out where to start/what to attempt. He’s gonna come up with a warm-up plan for me Saturday and he wants me to not go heavier than 60% of my max weight during practices this week. It’s really hard to stick to that weight, I’ve gotten slightly addicted to trying to go heavier and heavier. But I know it’s best to let my muscles rest a bit, and I’ll probably focus more on running/hill sprints to get my energy out while going light. One thing I’ve gotten used to while prepping for this Oly Comp is being constantly bruised. If you follow me on Instagram then you may have seen the pic of my bruised and tattered legs. 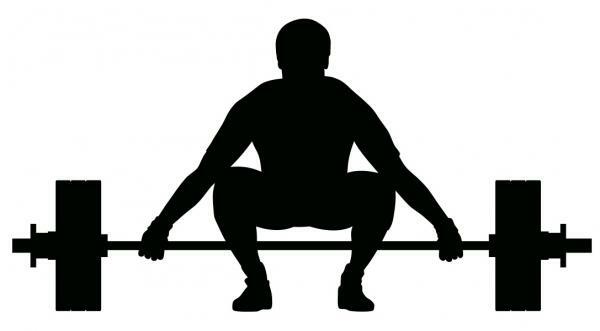 Every time after I jerk and I bring the bar down, I catch it slightly with my legs to absorb the weight. This means lots of little bruises above my knees from receiving the weight. Also, bruised pelvic/hip bones from thrusting during snatches. 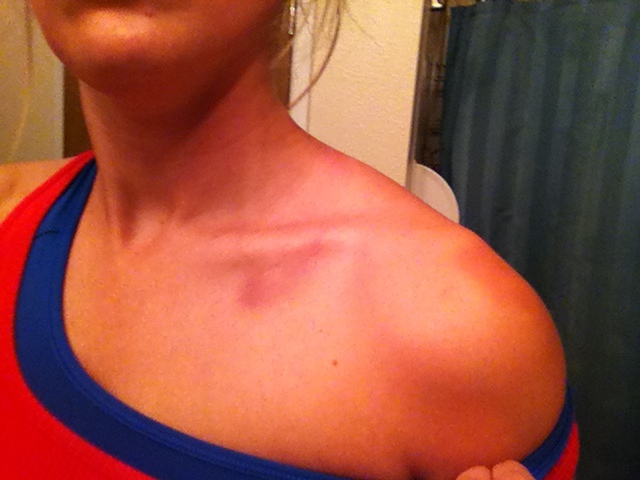 Bruises on my collar bones/shoulders have also become the norm from receiving the weight during cleans. I’ve been promised these bruises will stop happening as much once the scar tissue forms and I have to admit I am looking forward to that day so I don’t look like I am getting beat up on the daily. The rest of this week I just need to focus on mobilizing, improving form with light weight and visualizing getting a new PR. And not vomittng from nerves when I step on the platform, thought that’s really out of my hands. How do you deal with the nerves? This entry was posted in Uncategorized and tagged competition, CrossFit, fitfluential, Fitness, Healthy, olympic lifting, weight lifting by fionaboger. Bookmark the permalink.